This comprehensive book has mainly and deliberately been designed to cater to the longfelt needs of the prospective candidates for competitive exams. 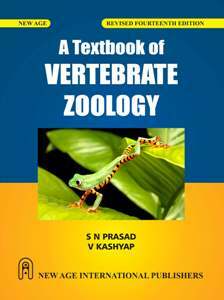 Dictionary of Zoology contains a vast range of terms chosen from all major fields of pure and applied animal science such as Classification, Anatomy, Cross-breeding and Biotechnology. Careful attention has been paid towards the authenticity, clarity, and comprehensibility of the terms included in the dictionary. Pictures have been given wherever necessary. The dictionary contains 248 pages and almost 2400 entries. The illustrative, informative and exhaustive approach makes the dictionary much more useful for students, teachers, naturalists, and researchers in the field.